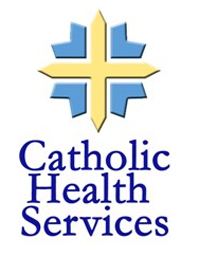 Catholic Health Services provides a full continuum of healthcare and services to the southeast Florida community. We serve more than 5,000 people per year and operate 26 facilities in Broward and Miami-Dade counties. Our patients, residents and those who use our services are our first responsibility. We provide our services with love, skill, compassion and respect for all human dignity - regardless of race, creed or religious affiliation. To find a service or facility for you or your loved one, go to our Website.